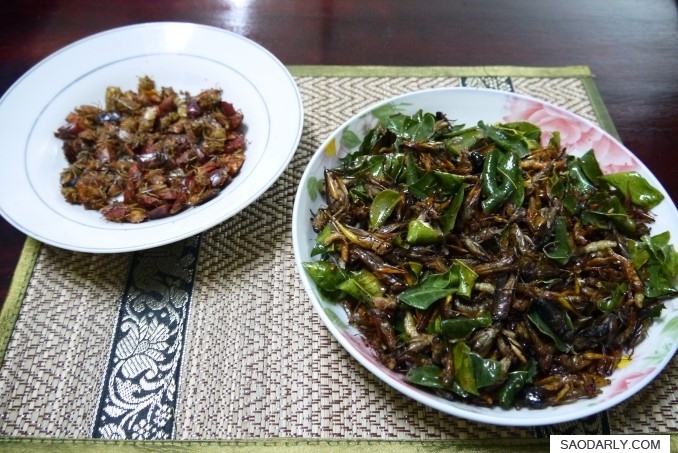 Bugs and Insects for evening snack in Vientiane, Laos. We went to a local market in the outskirt of Vientiane, which is known for having ample supply of fried bugs and insects. I bought fried bamboo worms, crickets, grasshoppers, and Maeng Khene (still don’t know the name of it in English) for my aunt to snack on. 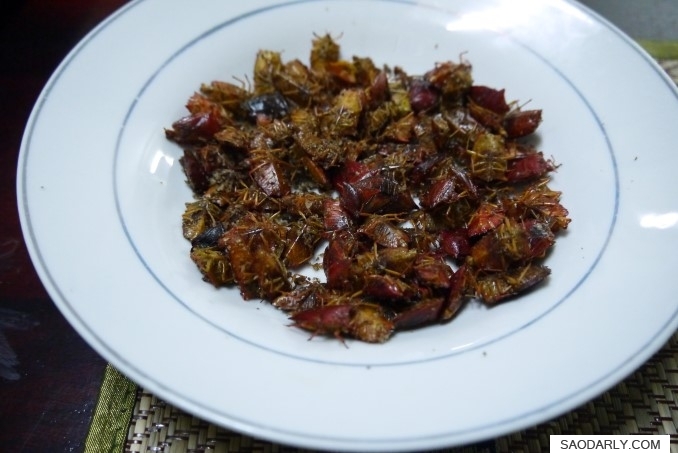 These fried bugs and insects in oil and kaffir lime leaves are favorite snacks for many of my relatives in Laos. 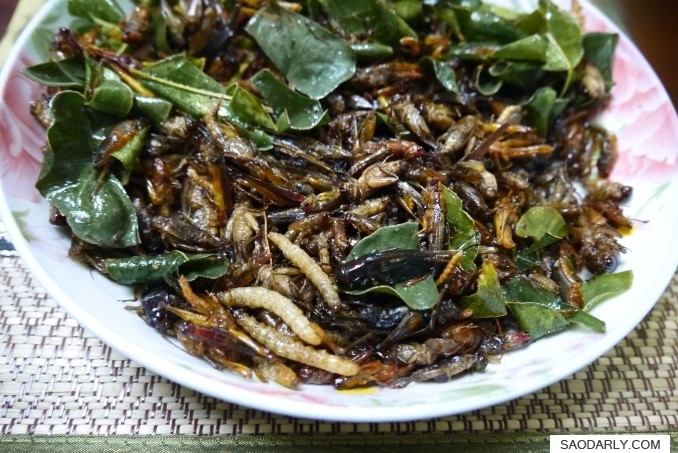 Many of them have gathered crickets, catched grasshoppers, and Maeng Khene as a kid and are used to eating them. I don’t mind trying a few bites of these crunchy snacks.